Policy switching is an ever-looming cloud in Latin America that tends to arise whenever leaders are facing tough political or economic crises within their nation. With the current grave economic hardships that Brazil is now facing under the second mandate of President Dilma Rousseff and the most recent credit rating downgrade by Standard & Poor’s earlier this week, Rousseff’s administration has been hurried into having to manage a devalued currency, a significant budget deficit, and consequently, an abysmal approval rating of just 7.7 percent. Rousseff and her economic advisors now must brutally slash away at any and all expenses in an attempt to re-stabilize a once-booming economy. These cuts and shrinkages, however, may come at a significant political cost that could prove to be irreparable. Rousseff’s political party, the Partido dos Trabalhadores (PT), initially lifted itself within the Brazilian political arena with a battle cry sounded against social injustice and poverty. When Luiz Inácio Lula da Silva (Lula) became president in 2002, he created a series of significant social programs that were able to lift 36 million people from poverty within ten years, reflecting a remarkable feat. These programs ranged from welfare redistribution such as Bolsa Família and nationwide government-financed access to housing. Lula was then able to place social issues and economic disparity at the forefront of his political targets. The current presidential mandate, however, has taken a resounding step backwards and put such issues on the back burner. Rousseff has led her government with a plethora of inconsistencies from the start; this began with her appointment of Joaquim Levy, who has been described as a fiscal hawk, in an attempt to revamp the nation’s economy and avoid investor insecurity. Recent austerity measures announced by Levy include reducing government spending by $26 billon reais ($6.8 billion USD) through the reduction of salaries of civil servants and cutting back on a significant amount of social programs. The leftist platform that had been pluckily led by Lula became a bleak shadow of past glories under Levy’s hard-hitting guidance. Rousseff, in truth, ignored her basic electoral campaign promises of adjusting the economy without slashing social welfare programs. The Minha Casa Minha Vida program, which aimed at providing low-income families with housing opportunities at discounted rates, was submitted for review this past week within the administration and Congress. If such budget adjustments pass, the program will have its funds significantly reduced—an ­­­­­­ idea strongly supported by the right-wing opposition—in order to comply with measures that seem to follow the dictates of austerity. Facing isolation and backlash in the political and public spectrums, the actions taken by Rousseff are not likely to please anyone, and her leftist allies are sure to be taken aback by her evident instances of policy switching. The Partido Socialismo e Liberdade (PSOL), or the Socialist Freedom Party, submitted a series of proposals in mid-February to the president in an attempt to pressure Rousseff into ceasing engagement in such policy initiatives that would limit access to social welfare. The policy measures referred to by the PSOL include tighter limitations on government-sponsored unemployment benefits and pensions. Rousseff has used her veto power to avoid cutting back on retirement benefits, but the political tensions that arose from this measure further divided Congress and quickly crumbled her ally base. In a press briefing to the Brazilian media, the executive leader of the PSOL Luciana Genro chose to describe Rousseff as a “technocrat to the financial capital.” The right-wing presidential candidate that ran against Dilma in last year’s election, Aécio Neves, voiced his concerns through social media where he accused Rousseff of “outsourcing (her) economic policy” and doomed her presidential mandate as not only flawed, but in imminent failure. The political crisis, therefore, is not just aggravated due to the grave economic situation which the administration faces, but also due to the fact that the president—who is the highest ranking official of the PT in government—is setting aside the policies of her party in favor of opposing ideologies. Despite her adoption of these opposition policies, these parties continue to prod at her macroeconomic policies that can only reap solutions in the long run, further capsizing her already lagging public support. Rousseff’s hawkish fiscal measures are certainly not the only solution to the country’s current economic problems. Paulo Kliass, a Brazilian economist, recently suggested that the problem with Brazilian economics is not a problem to be solved by trimming the budget per se, but by increasing the prospect that government revenue will be enhanced. The expenditures issue, he believes, will only be solved once the Brazilian government is able to balance its revenue and expenditures. Additionally, many on the left believe in cutting back on the considerable spoils that high-ranking government officials—such as federal judges or attorney generals—insist on receiving. In mid 2015, it was estimated that the Brazilian government dispensed $860 million Reais ($215 million USD) just in payments for housing stipends for federal judges. The political party of Rousseff’s vice-president, Michel Temer, and a generous contributor to her allied base, the Partido do Movimento Democrático Brasileiro (PMDB), or The Brazilian Democratic Movement Party, faces inner radicalization and division. President of the Brazilian House of Representatives, Eduardo Cunha, also from the PMDB, has outshone his counterparts with numerous attempts to undermine Rousseff and the range of the PT’s policies, ranging from political maneuvers to a recent vote on reducing the legal age of criminal responsibility (a typical right-wing, conservative policy). Former President Lula has done little to contribute to unifying or purifying the party, and in fact, may have been a catalytic force in prompting division within itself. While Rousseff was announcing heavy fiscal adjustments, Lula was giving a speech at a social-welfare event in Paraguay regarding the importance of increasing aid to those in a condition of poverty. With the fiscal adjustments that are being adopted, “the poor will only become more poor,” Lula stated to the press; “only the state can guarantee that the population can have equal access to opportunities,” he added. Recent public manifestations that have taken place in Brazil—albeit significantly smaller than demonstrations in 2013— have voiced the public’s particular discontent with the recent state of corruption involving the country’s state-run oil company, Petrobras, and a number of high-ranking government officials implicated in such corruption. What is surprising is the lack of involvement in these demonstrations coming from the left. The majority of the forces behind these protests appear to originate from the right. One of the groups participating in the protests, Movimento Brasil Livre, or Free Brazil Movement, is co-lead by a self-proclaimed “conservative, not liberal” segment of the population Organizers of the event have been publicly linked to a conservative leadership, and some have even called for military intervention to guarantee the outcome of the processing. Rousseff is currently trapped in an abyss of flawed fiscal policies and commitments that go against the ideological mission of the PT, and that could very well lead to the collapse of the party if it does not remain true to its origins on the political compass. The angst of right-wing supporters seems to lack proper fundamental knowledge, as the newly adopted fiscal policies are exactly conducive to the ideology of the right. 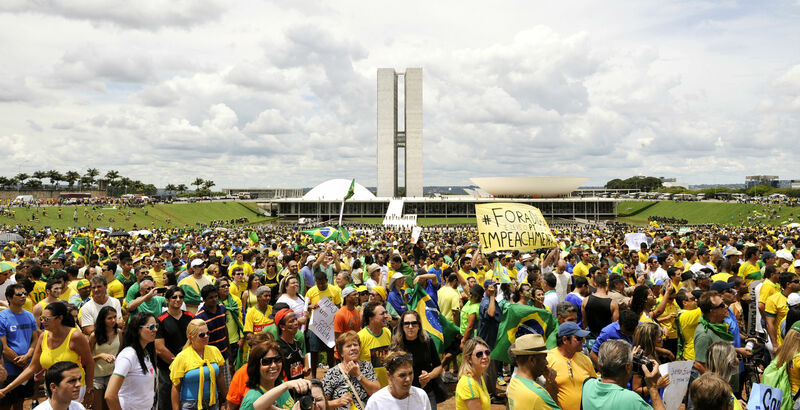 The early manifestation of calls for impeachment, which have originated mostly from the right, have now shifted focus from calls for the independence of the judicial branch and a close investigation into Petrobás’ past transactions. Additionally, the opposition seems to be somewhat oblivious to the fact that so far, there is no evidence that approves the use of the state-run company’s assets to fund Roussef’s presidential campaign. One of the demonstration acts included a donkey leading a cart with the name of the operation carried out by an incident from the Petrobras scandal, “Lava-Jato”. Such protestors must be completely oblivious to the fact that the anti-corruption operation has investigated 203 people; 57 others have been detained including 46 corrupt participants. The possibility of impeachment, at times seems to be highly exaggerated. Currently, Rousseff and her political campaign have not been indicted for committing any crime. In order for the impeachment process to begin two thirds of the House must vote in favor of proceeding with a commission that would have to decide, again with a two-thirds vote, if an impeachment is the best legal option for the state to implement. Brazil’s last impeachment process, in 1992, took a total of seven months before it was consolidated. The president at the time, Fernando Collor, had been directly linked to the deviation of public funds in one of the largest corruption scandals the country had ever witnessed, deviating over $350 million USD in public funds. Nonetheless, even if Rousseff is not directly linked to the Petrobrás scandal, the fact that the state corporations cashed out a total of $12 billion Reais ($6 billion USD) just in government bribes, must be considered alarming. In essence, the dilemma of Rousseff’s possible indictment would bring on a lose-lose situation. In the case that she is indicted, she becomes the primary actor in one of the country’s most troubling national corruption scandals to date; on the other hand, Rousseff’s abilities to continue to govern a country are put to question if such massive amounts of funds were successfully laundered without suspicion under her auspices. An impeachment process would set in motion serious consequences regarding investor insecurity – Brazil’s junk credit rating by S&P would be a foreshadowing of an even greater more grave economic crisis – but also of political insecurity. The PT could potentially lose the majority of its public support, which is worrying because of the small margin separated Rousseff from her opposition candidate in her electoral victory in 2014. Perhaps even more importantly, the PT risks losing the political credibility that it has built through its social platform in times of high socio-economic inequality in Brazil. Seeing the PT crumble would be akin to watching one of Brazil’s biggest social advocates have its political basis dissolve from under its leadership. “Aécio: Com Rebaixamento, Governo Dilma Acabou.” Brasil 24/7 On-line. Accessed September 9, 2015. http://www.brasil247.com/pt/247/brasil/196246/Aécio-com-rebaixamento-governo-Dilma-acabou.htm. “No Brasil, Ajuste Fiscal Liberou Uma Disputa Pela Civilização.” CartaCapital Revista. Accessed September 9, 2015. http://www.cartacapital.com.br/revista/867/a-disputa-pela-civilizacao-1207.html. “Por Liminar, Auxílio Moradia De Juízes Já Custa R$ 860 Milhões – JOTA.” JOTA. July 10, 2015. Accessed September 9, 2015. http://jota.info/por-liminar-auxilio-moradia-de-juizes-ja-custa-r-860-milhoes. Taquari, Fernando. “Temer Mira Cunha E Critica Divisão E Radicalização Interna Do PMDB.” Valor. July 31, 2015. Accessed September 9, 2015. http://www.valor.com.br/politica/4159044/temer-mira-cunha-e-critica-radicalizacao-e-divisao-interna-do-pmdb. “No Paraguai, Lula Diz Que Pobres Vêm Antes De Infraestrutura.” Portal No Ar. September 9, 2015. Accessed September 9, 2015. “O Que Querem Os Jovens De Direita Que Marcham Rumo a Brasília? – Jornal Opção.” Jornal Opção. May 16, 2015. Accessed September 9, 2015. http://www.jornalopcao.com.br/reportagens/o-que-querem-os-jovens-de-direita-que-marcham-rumo-brasilia-35601/. “Protestos Contra Governo Dilma Ocorrem Em Todos Os Estados E No DF.” Folha De São Paulo Online. Accessed September 9, 2015. http://www1.folha.uol.com.br/poder/2015/08/1669405-protestos-contra-governo-dilma-ocorrem-em-oito-capitais-e-no-df.shtml. “Linha Do Tempo Da Lava Jato.” G1-Globo. Accessed September 9, 2015. http://especiais.g1.globo.com/politica/2015/lava-jato/linha-do-tempo-da-lava-jato/. “Relembre Casos Do Governo Collor Que Envolveram PC Farias.” G1- Política. May 6, 2013. Accessed September 9, 2015. http://g1.globo.com/politica/noticia/2013/05/relembre-casos-do-governo-collor-que-envolveram-pc-farias.html. 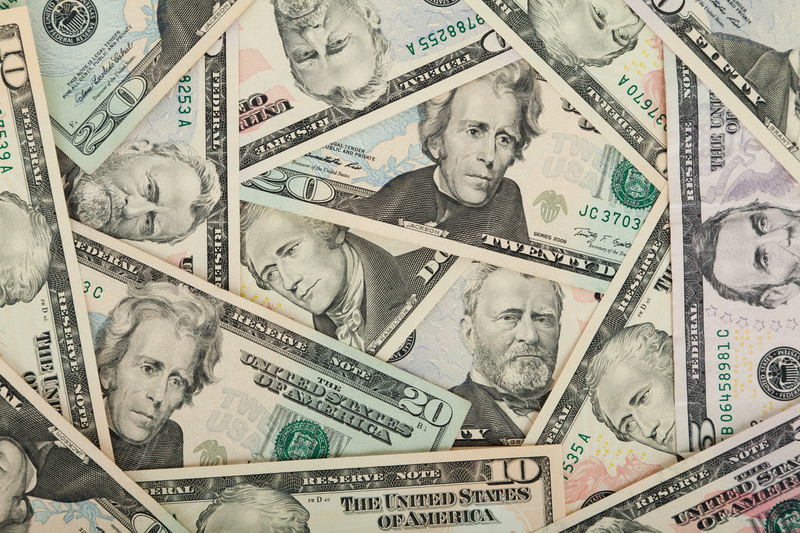 Strauss-Kahn’s Visit to Latin America: A New Economic Policy?